LDV has now completed ten years in the wine business and we have learned a lot. One standout lesson learned is that the winebusiness is hard but very rewarding. For control freaks like us, there is so much out of our control. However, it is truly special to make something that excites and inspires people. We update our strategic plan annually and it provides an opportunity for us to reflect on the past and update goals. Mother natureand farming are unpredictable. As an estate vineyard/winery, we are exposed to all the uncertainty. Our goal is to manage the vineyard as carefully as possible and closely monitor the soil, water, and weather to provide our established grapevines the best possible chance to produce high quality grapes. Another major component of our business is sales and thus subject to the whims of the marketplace that can be influenced by economics, politics, or perceptions. However, LDV is organized to be nimble enough to respond. Annually, we analyze our farming, production, distribution, regulatory environment, retail and wholesale markets, and customer service components of our business to ensure that it is economically-viable and positioned to achieve our mission. In doing this planning, we also make some forecasts. Here are our top five forecasts for 2019 that we will be monitoring. 1. Our Petite Sirah vines are LDV’s oldest and are producing rich, complex wines. After final bottling, some that have been able to taste the wines say they are our best wines we have ever produced. We cannot wait to release them to the marketplace.The vineyard’s volcanic soil is showcased in our upcoming wines now that they are maturing. As always, respecting the connection to our land, producing hand-crafted wines, focusing on quality, and taking no short cuts in our winemaking process continue to be our mission. 2. 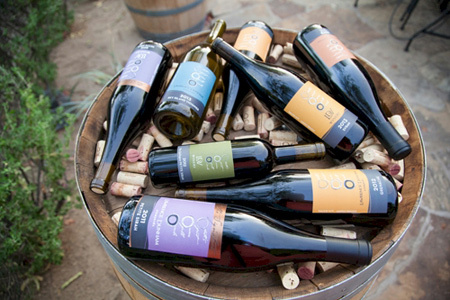 Arizona consumers are becoming aware of the quality of wines being produced statewide. Our tasting room in Old Town Scottsdale is the perfect location to communicate this story and showcase LDV’s quality wine.LDV has invested in terrific hospitality staff that are excited about telling the LDV story and the possibilities of producing great American wines from Arizona. 3. With the ability now to ship to 38 states, LDV’s customer reach is expanding. We anticipate reaching deeper into the marketplace in Arizona and across the U.S.
4. National research says that Millennials are not turning to wine as quickly past generations. 2019 will be the year when this trend changes and LDV will play a role in making wine approachable to younger generations. 5. LDV is proud of having a higher-than-national average wine club membership retention. We are committed to expanding our loyal base by ensuring that superior customer service, and quality productscontinue to guide all our decision-making. Cheers to a year full of fun!